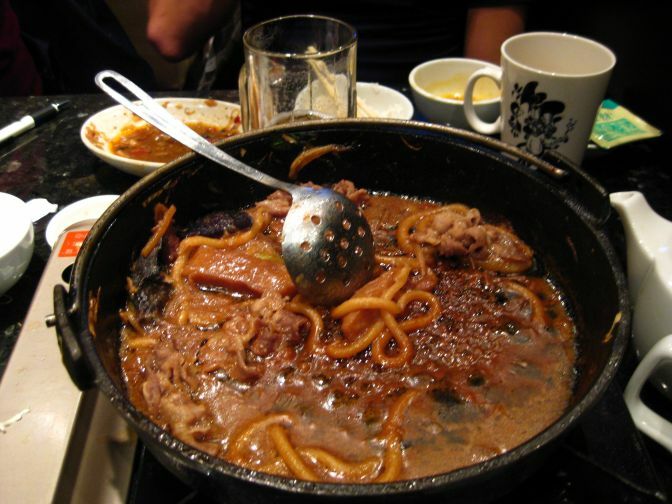 Posh, at the corner of Burrard and Broadway in Vancouver, is one of North America's only exclusively Sukiyaki hotpot restaurants. With this claim, it is difficult to find a basis for comparison. However, that may not be necessary, as Posh seems to be doing everything right. 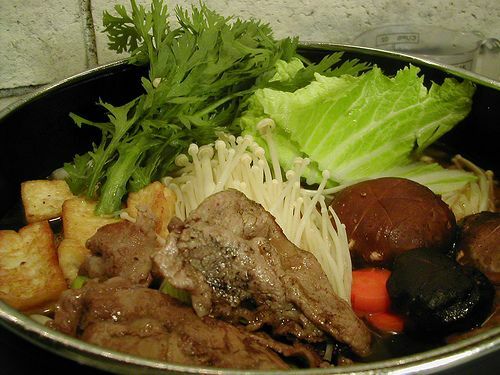 The idea behind Sukiyaki is that each table receives a burner and shallow pot. A tasty broth is the starter of the hotpot and a selection of vegetables and thinly-sliced meats are added throughout the meal. The meats and vegetables impart their own flavour to the broth, and more liquid can be added along the way as it boils down. Posh offers an amazing variety of vegetables, from yam and taro through to black fungus and deep-fried tofu. Guests can either pick and choose their favourites, or ask for a selection to be created for them. This is often the best way to go, and the chefs will include items you may not have thought of as appropriate for a hotpot. The restaurant is an all-you-can-eat affair, so no-one will ever leave hungry. 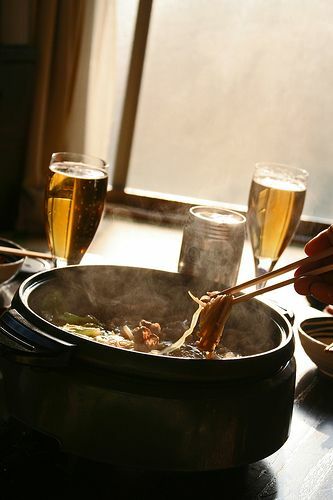 And, with such a vast selection of delicacies to choose from, will not become bored with the hotpot meal. The drinks list includes a variety of Japanese beers and sakes, as well as cocktails. That there is not one wine listed is a disappointment for those that drink none of the above. Of course, wine is not a traditional Japanese drink, but I'm sure many would agree that a cool glass of white would go excellently with Sukiyaki. At $15.88 for an all-you-can-eat dinner, Posh Restaurant is also fabulous value. Granted, it is not fine-dining, but a meal at Denny's could set you back the same amount! Posh has three locations, Broadway, Richmond and Kingsway. « Traveling America - Greyhound vs Amtrak?